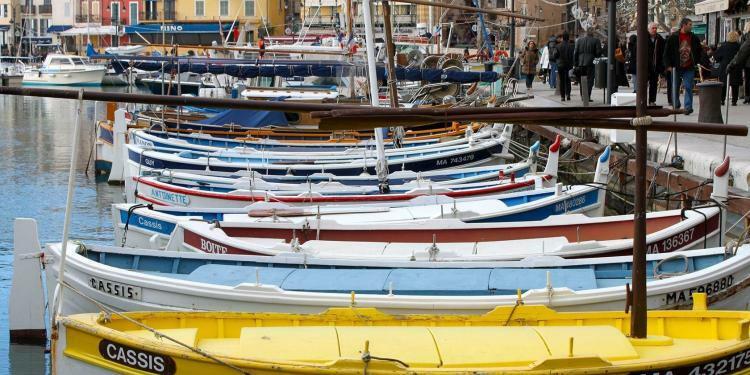 Just east of Marseille lays the charming coastal town of Cassis, nestled at the bottom of steep, vineyard-covered hills that come almost to the sea. It’s so adorably cute that you might think you are walking into a postcard. 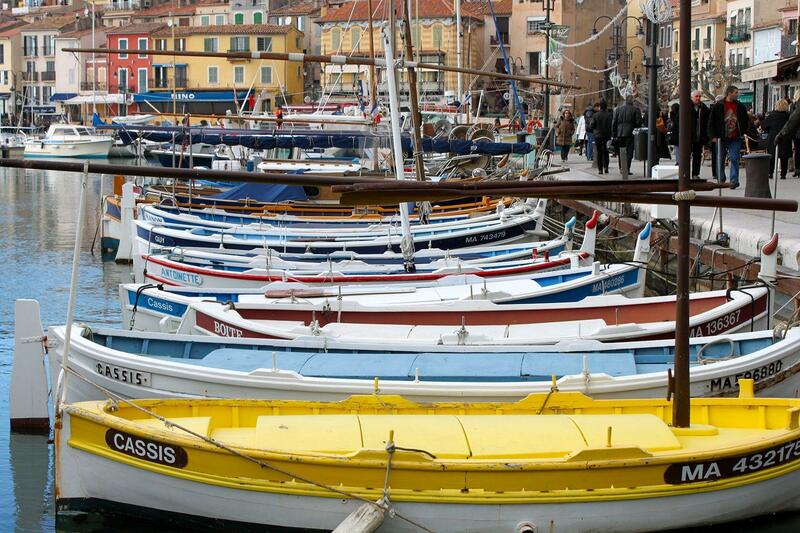 There’s nothing better than a stroll through town followed by a bowl of fish soup or some moules-frites at one of the many restaurants that line the docks. The setting of Cassis is dramatic. Besides those vineyards, Cap Canaille—the highest cliff in France—towers over the town on its east side. 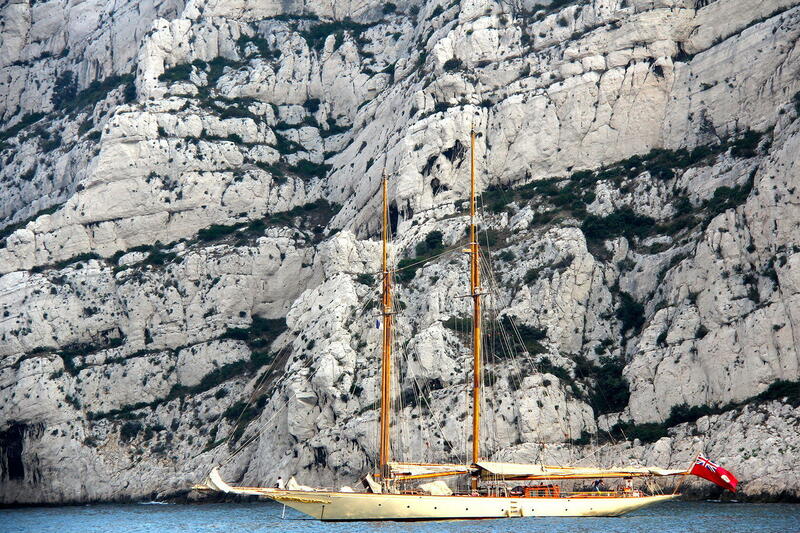 And to the west are the beautiful and rugged calanques, the so-called mini fjords of France. These stunning geologic features are in the Calanques National Park, which stretches between Marseille and Cassis. Dominated by stark grey limestone and dabbed with greenery here and there, the park provides a sharp contrast to the deep blue waters of the Mediterranean. Eons ago, ancient rivers carved canyons through this limestone on their way to the sea, forming the calanques we see today. The easiest way to see them is by boat. You can choose from a variety of different rides lasting from 45 minutes to two hours, which cover as few as 3 or as many as 9 calanques. The ticket office is at the Quai Saint-Pierre but be aware that seats sell out in the high season so you should get there early. 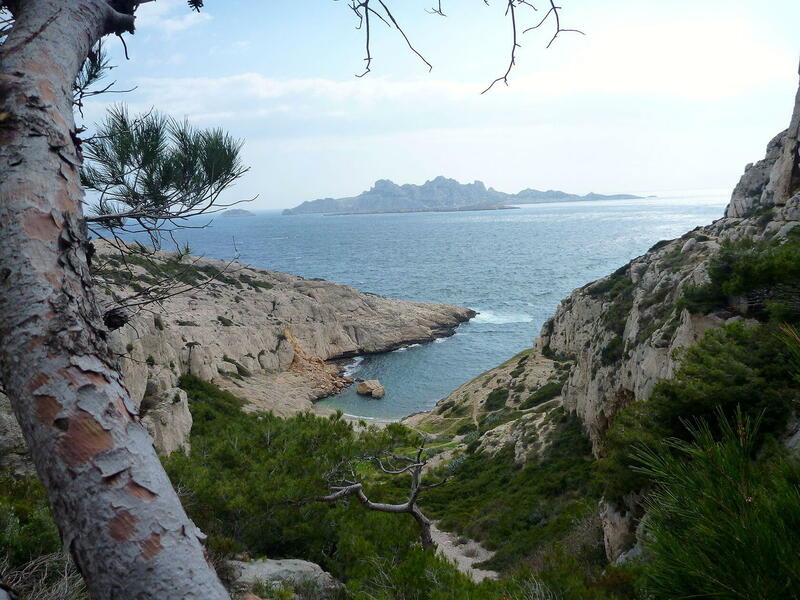 Adventurous visitors might choose to hike to the calanques. 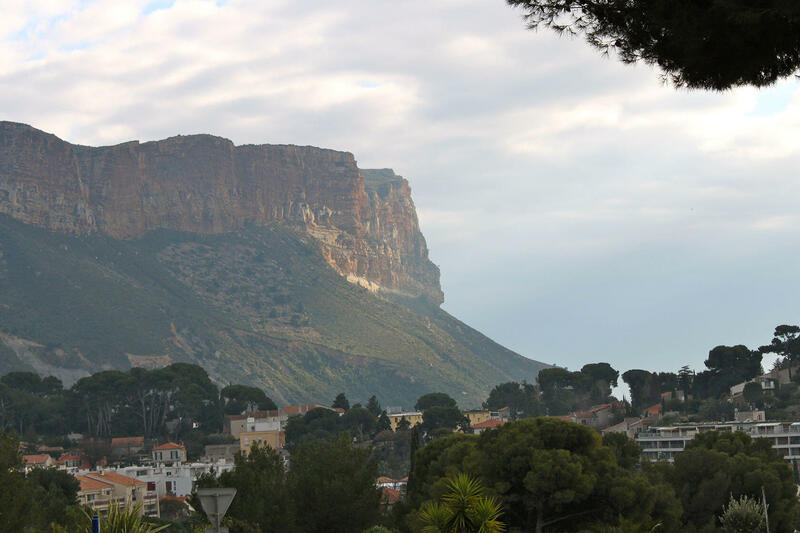 The one nearest Cassis takes about 30 minutes to walk to, but you can continue on and go as far as your legs will take you. The trails are uneven and steep in parts, so be sure to wear solid footgear. And Provence is warm, sometimes hot, so carry plenty of water! 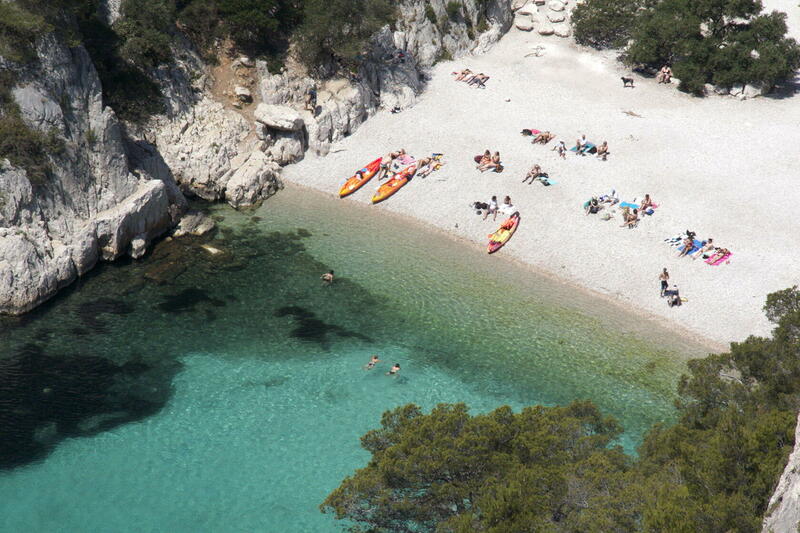 The Calanque de Sormiou is a popular destination for Marseille residents. 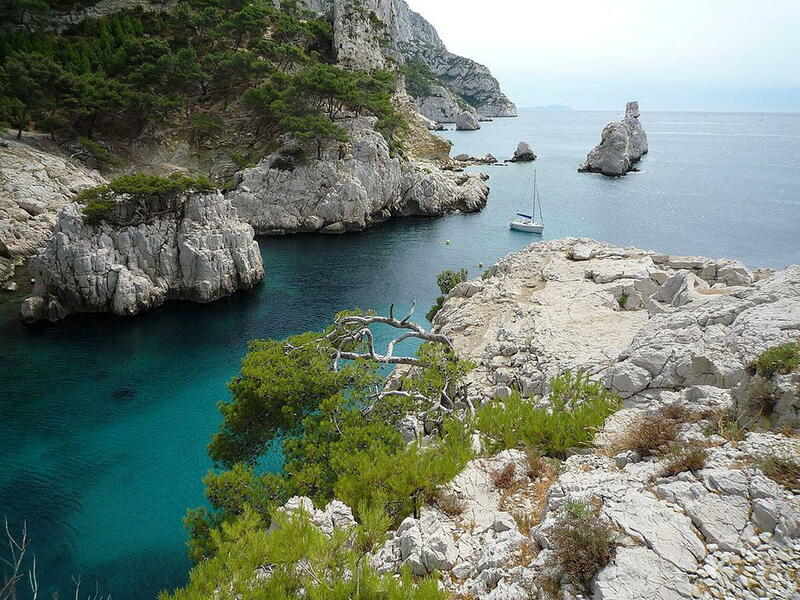 The largest of the calanques Sormiou is on the edge of the city’s 9th arrondissement. Popular with locals and visitors this inlet provides options for hiking, rock climbing, kayaking and scuba diving. No matter which direction you go, you’ll be rewarded with fabulous views. And you’ll see plenty of picnickers and swimmers, some who hiked in and others who arrived by the lovely sailboats that you’ll see anchored in the coves. 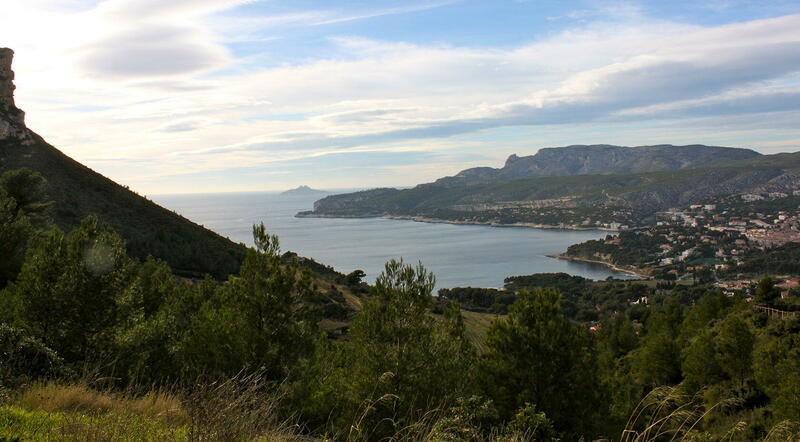 Don’t miss this drive from Cassis to its coastal neighbor to the east, La Ciotat. The D141 – Routes des Crêtes – runs along the cliff tops joining the two towns. The driving distance is roughly 15km and should take about 30 minutes. However, the views are stunning, and there are plenty of opportunities for photo-ops along the way. The road passes by Cap Canaille the highest cliff in France at 364m/ 1290 ft. A word of caution, this road is subject to the occasional closure on days where there is an elevated fire risk or extreme winds. Call this official Bouches du Rhône number +33 (0)8 11 20 13 13 to verify if the Routes des Crêtes is open. 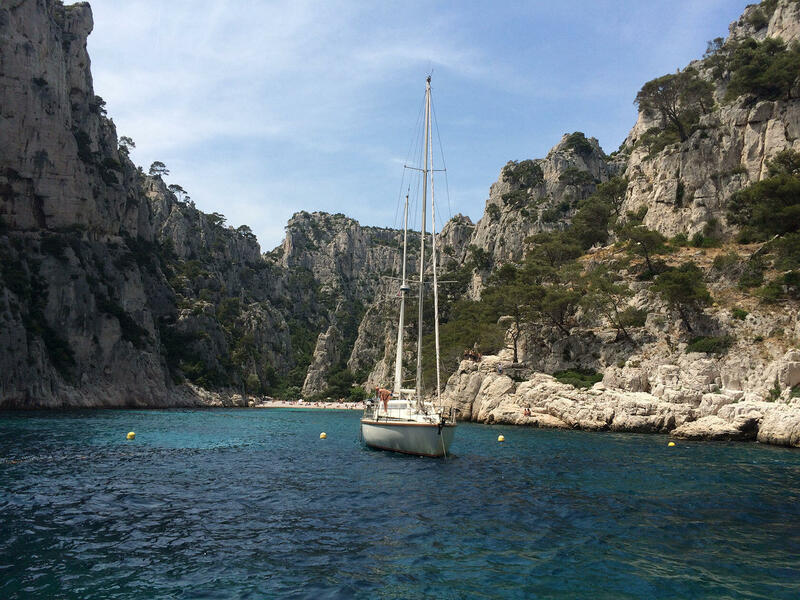 No matter which way you choose to visit the Calanques, you can be sure to enjoy a memorable day indeed!